What is the Fitbit Ace? Does your child really need one? 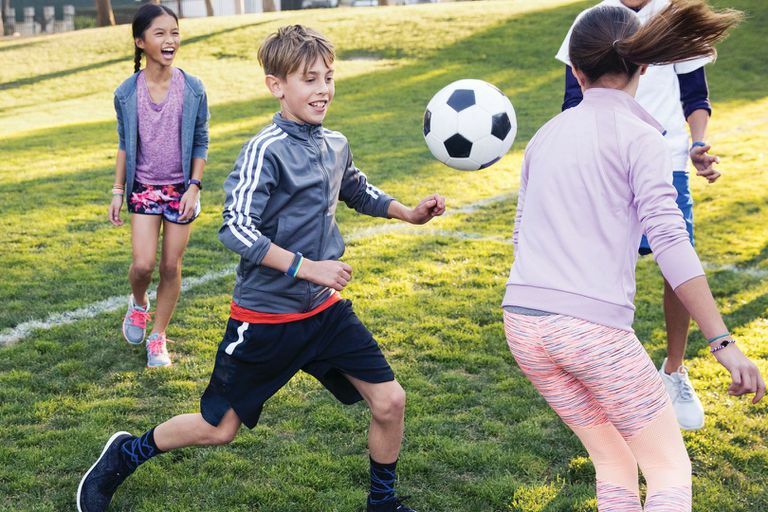 The Fitbit Ace is a wearable fitness tracker created by Fitbit for children aged eight years old and above. The Fitbit Ace hardware itself is actually only the size of an adult's thumbnail however it attaches to a wristband which allows for it to be worn like a watch. The wristband itself performs no fitness or motion tracking functions. What Can the Fitbit Ace Do? From telling the time to tracking steps, the Fitbit Ace can perform a variety of functions. Here's a full list of its capabilities. Step tracking: The Fitbit Ace can keep track of how many steps are taken by the wearer. Activity tracking: Tracks how many minutes the wearer is physically active during the day. Watch functionality: The Fitbit Ace, like other Fitbit trackers, features a digital watch face which, in addition to displaying step and activity progress, can also show the time and date. Call notifications: When connected to a smartphone, the Fitbit Ace can notify the wearer of when they're getting a phone call. Notifications and reminders: The Fitbit Ace can notify the wearer when they've met a fitness goal via an onscreen notification or vibration. The device can also show them a message to remind them to move if they've been inactive for a set amount of time. Leaderboards and badges: The Fitbit Ace, like all Fitbit devices, can sync to the free Fitbit apps which are available on iOS and Android smartphones, Windows phones, and Windows 10 PCs. These apps can be used to set fitness goals, compete with friends and family members on leaderboards, and unlock digital badges for certain milestones. What Can't the Fitbit Ace Do? Due to its cheaper price and younger target audience, the Fitbit Ace lacks several features that are available on more expensive Fitbit trackers like the Fitbit Ionic and Fitbit Versa which are designed for adults. Here's what the Fitbit Ace can't do. Music: Unlike many other Fitbit trackers, the Ace cannot store, play, or stream digital music. GPS tracking: The Fitbit Ace cannot track the location of its wearer. Heart rate tracking: There is no heart rate or pulse detection technology in the Ace. The Fitbit Ace's sleep tracking function is limited to only measuring physical movement. Fitbit Pay: Fitbit Ace trackers do not support Fitbit's wireless payment service which can be used to pay for products and services in select locations. Apps: The Fitbit Ace uses a colorless OLED display and does not support the use of additional apps. Multi-sport modes: The Ace cannot detect alternative forms of exercise such as swimming or weights. It can only measure steps taken and active minutes. Fitbit Coach: The large library of guided workouts which can be accessed via the Fitbit Coach app on other high-end Fitbit trackers, smartphones, Xbox One consoles, and Windows 10 devices is unavailable on the Fitbit Ace. Is the Fitbit Ace Waterproof? While not waterproof like the Fitbit Ionic, which is water resistant for up to 50 meters, the Fitbit Ace is officially described as being "showerproof" and safe against "lunchtime spills" and "puddle jumping." Exposing a Fitbit Ace to heavy rain or wearing while swimming is not recommended. How Many Fitbit Ace Colors Are There? The Fitbit Ace itself is only available in black however it comes with the choice of either a purple or blue wristband, named Power Purple and Electric Blue respectively. These wristbands can also be purchased separately should the existing one be broken or lost. Who Can Use a Fitbit Ace? Even though the Fitbit Ace is intended for use by children aged eight and up, it can technically be worn by adults as well. It is important to recognize though that the Fitbit Ace's wristband is designed for wrists that are 125mm to 161mm in circumference and that only official Fitbit Ace wristbands can be used with the device. If your wrist is larger than this size, you will be unable to wear it. What's a Cheaper Fitbit Ace Alternative? A more affordable alternative to the Fitbit Ace is the Fitbit Zip. This Fitbit tracker is almost half the price of the Ace however its functionality is even more limited and simply measures steps and activity. Unlike the Fitbit Ace, the Fitbit Zip isn't designed to be worn like a watch. Instead, it can be clipped onto clothing like a brooch or placed in a user's pocket. The Zip can be a good choice for those on a budget or who don't like wearing something on their wrist.